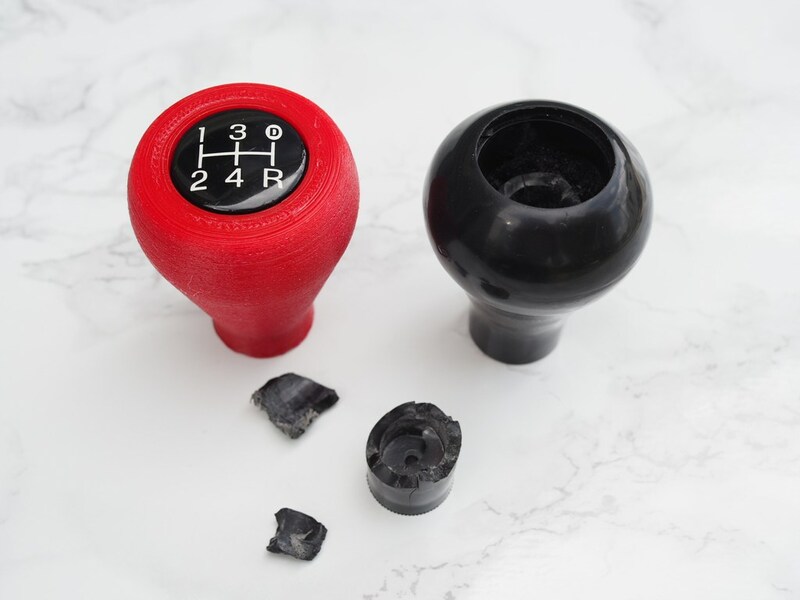 Home Blog 3D-printed gear shifter knob! 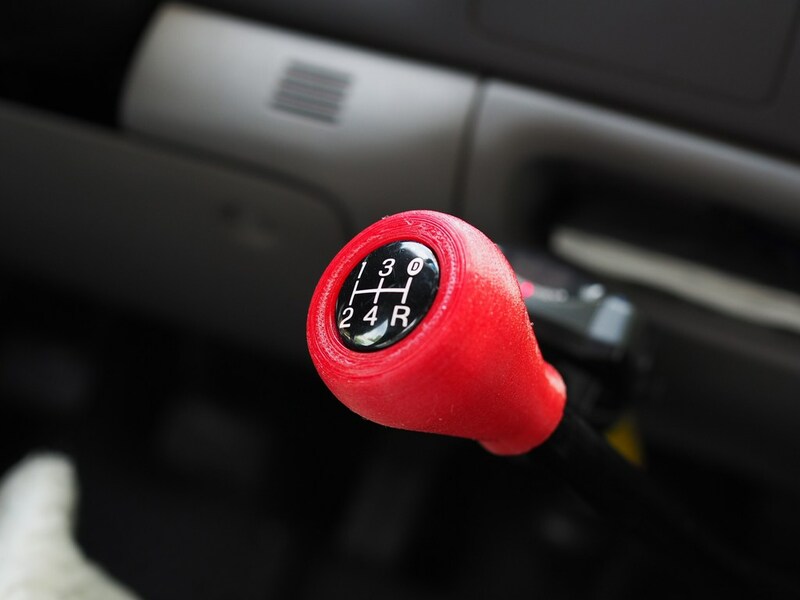 What do you do when the shifter knob on your truck breaks at Bonneville? 3D print a new one, of course! 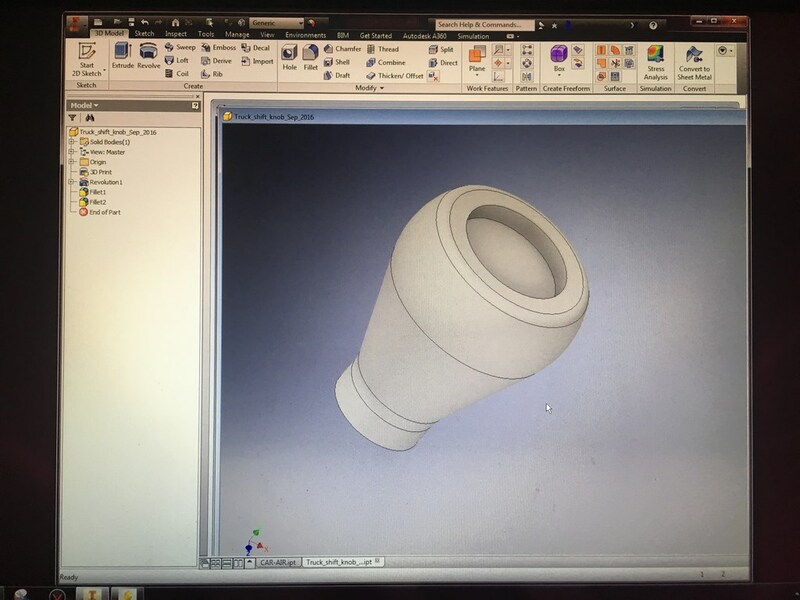 Using the broken shifter knob for reference, I created the shape with CAD (Computer Aided Design) in Autodesk Inventor, and exported it as a 3D-printable .stl file. I then printed the knob of NinjaTek SemiFlex, which is a very strong and relatively hard polyurethane rubber, on my Lulzbot TAZ 5 3D printer. The print took about 5 hours. Time-lapse video of the print below. 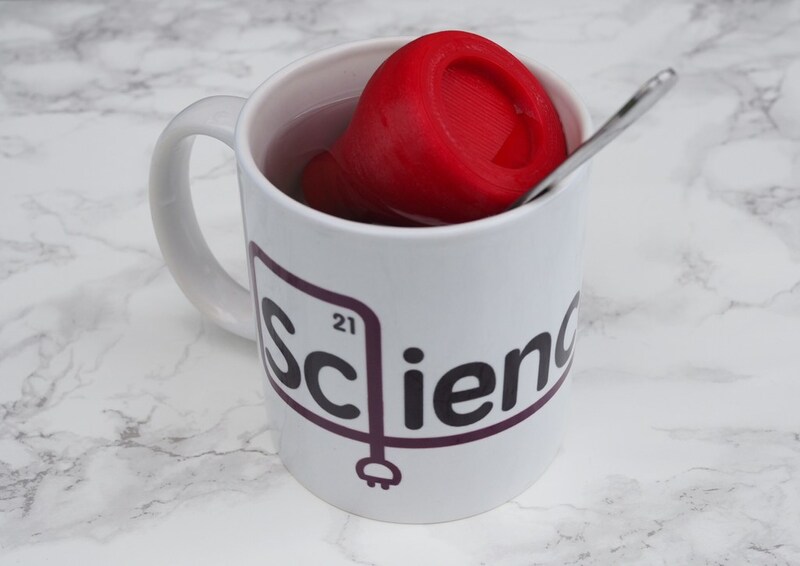 The knob was designed with a press fit, and by placing it in boiling hot water it became soft enough to easily be pressed onto the shaft. 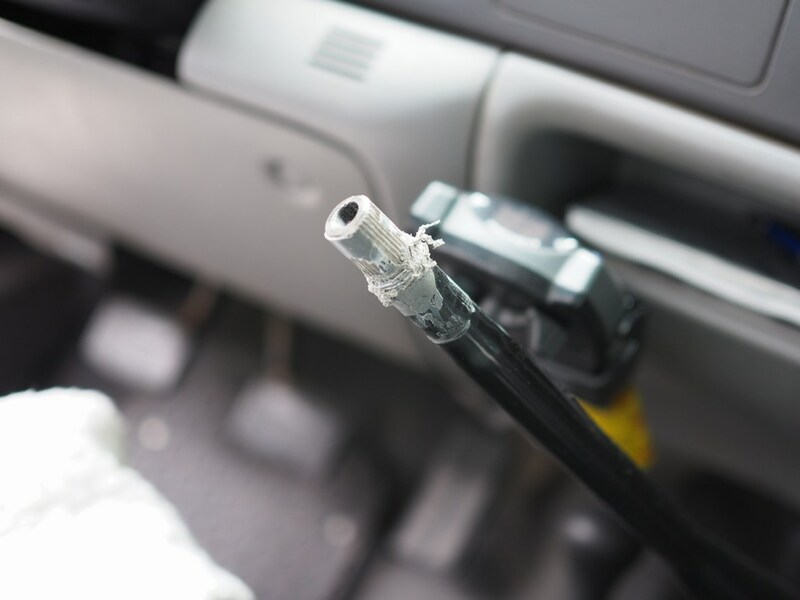 The presence of both duct tape and JB weld on the shaft made it evident that several people had tried to repair the knob before we bought the truck… Cleaning off this mess actually about as long as creating the new design in CAD (about half an hour). Writing this post, taking photos, re-sizing photos, creating the video, and uploading the video to YouTube actually took longer than both creating the design and installing it (not including the print time, of course, but I could do other things while it was being printed, so I don’t count that). Voila! The shifter knob installed!